Are you like me: the leftover Thanksgiving turkey is still warm and Grandpa has barely taken his last bite of the pumpkin pie and I’m ready to jump up and deck the halls! This means I also tend to skimp on Fall and Thanksgiving decorating because I’m too busy thinking about my Christmas decorations! Is this you too? Well I have a simple solution for you! 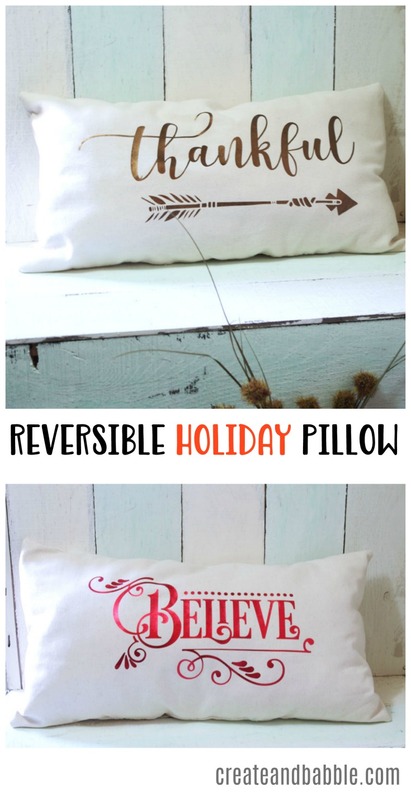 How about one pillow that does double duty! One side is for Thanksgiving and the other side is for Christmas! 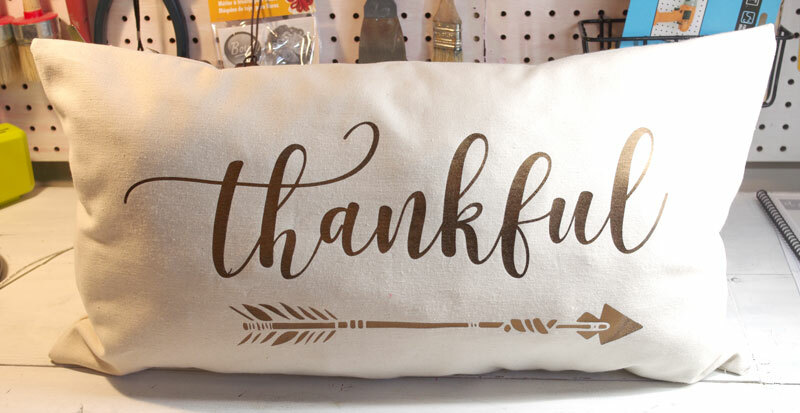 “Thankful” pillows are very popular and when I saw a photo of an oblong one on a bench, I knew I had to have one for my entryway bench. 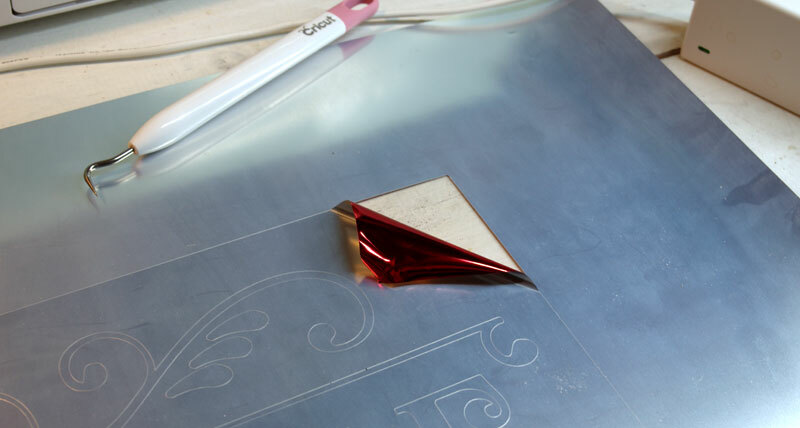 Then the idea to make a Reversible Holiday Pillow Made with Metallic HTV and SVG Files occurred to me once I started designing the cut file for the “thankful” side. 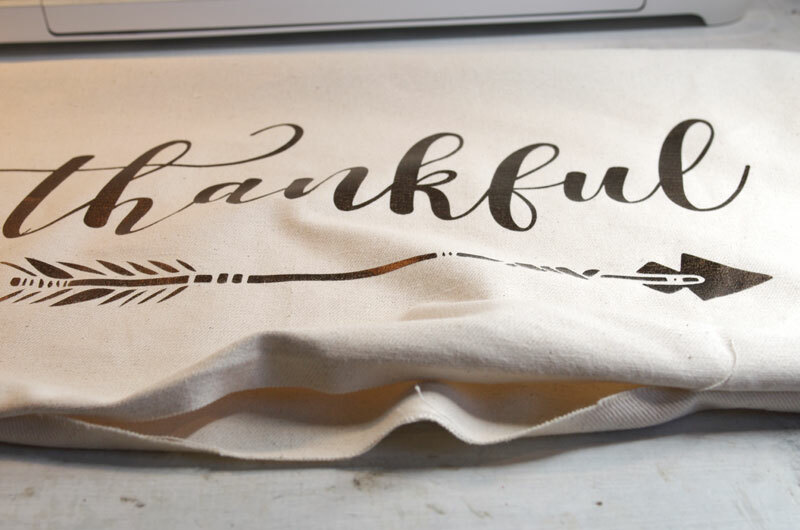 I was playing around with different fonts in Silhouette Studio for the word “thankful” when I remembered that I had previously downloaded an already-made beautiful “thankful” svg file from SVG Salon. So then I got the idea to look for a suitable Christmasy SVG to use on the other side of the pillow. 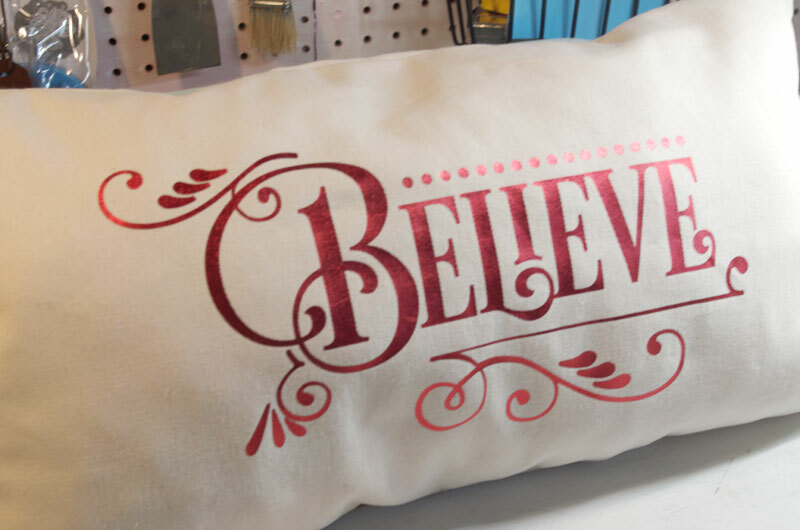 I found this “Believe Flourish“ and I love it and knew it would be perfect on a pillow. 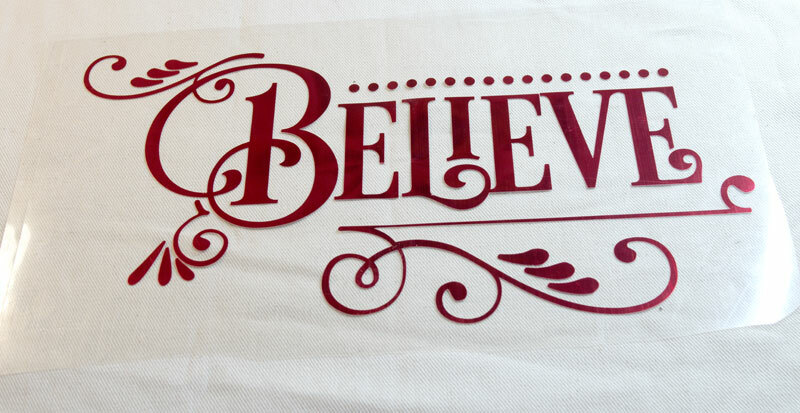 Why spend hours looking for just the “right” font, swirls, and embellishments? I’ll leave that to the talented designer who makes these beautiful SVGs. They’re affordable and save time. And those two things are very important to me. Want to make one? It’s very easy. And you don’t even need to sew the pillow cover if you don’t want to. This pre-made pillow cover would be perfect. Don’t forget to mirror the image! 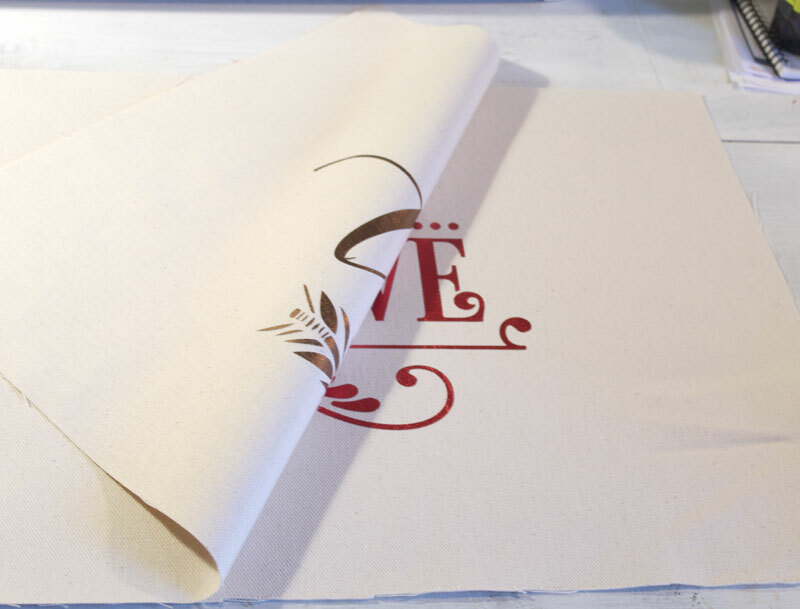 Cricut Explore Setting: one dot between HTV and Light Card Stock. Whether you are using an iron or a heat press, preheat the pillow cover fabric for a few seconds. 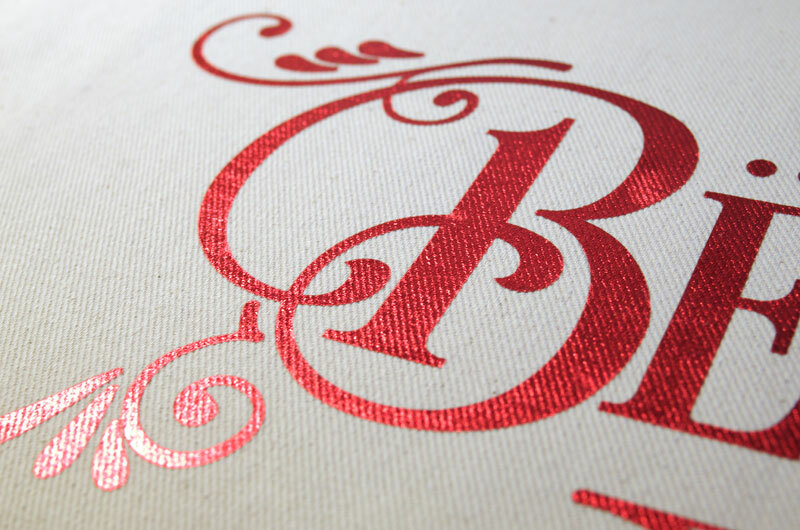 Iron: cover with a cover sheet (such as a pillow case) and press for 25-30 seconds on linen setting with firm pressure. Turn the fabric over and press again. Heat Press: Preheat to to 280°, Press 15-20 seconds. Turn over and press additional 5-10 seconds. Allow to cool, then peel off plastic carrier. 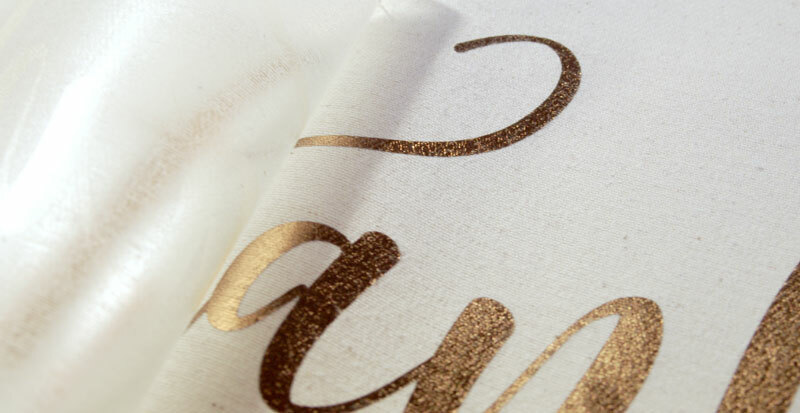 Notice how the texture of the fabric shows through the Shine HTV. With right sides together, sew sides of pillow cover together. I love the idea of dual holiday decor pieces. As soon as the guests from Thanksgiving Day have left, I’ll just flip this pillow over! Don’t you wish all Thanksgiving Decorations were reversible?!? 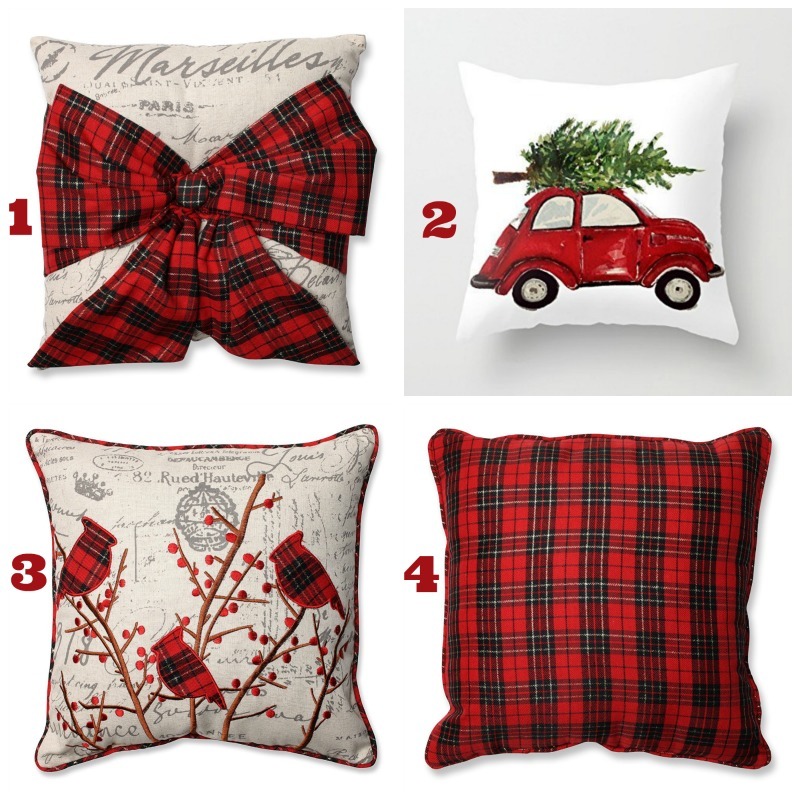 Like these . . . .
And here are some pretty Christmas pillows. I am loving the plaid! This pillow is really beautiful and chic! I love that it has a dual purpose too! It makes life easier and easy on the budget as well! Great idea, esp. with these holidays falling back-to-back. Visiting from Recipe and DIY Linky Party. You are so smart and crafty, Jeanie, I love this! This is such a brilliant idea! 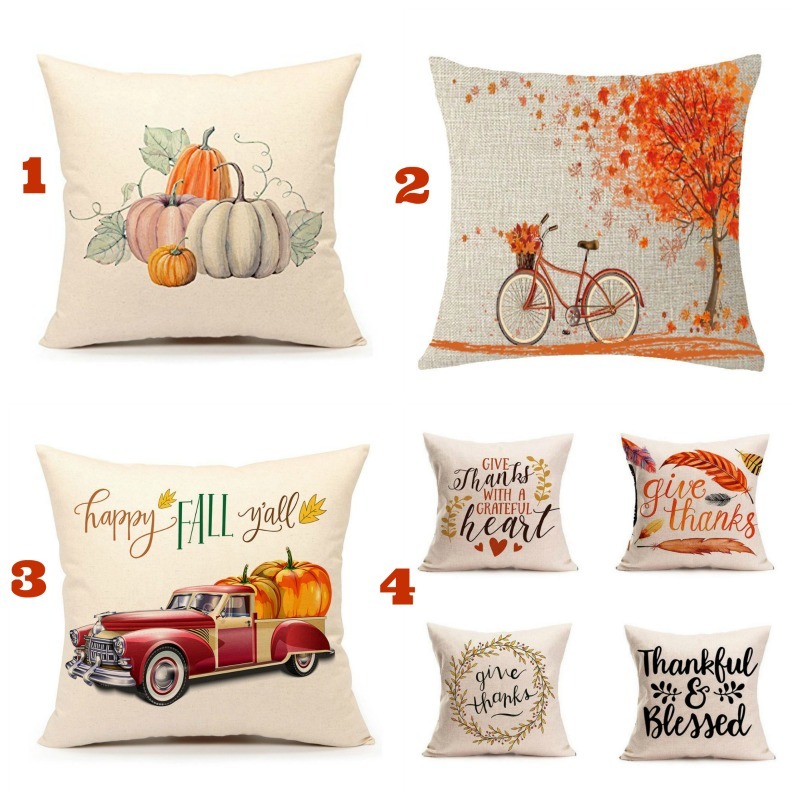 Why aren’t all seasonal pillows like this?! This is such an awesome project! 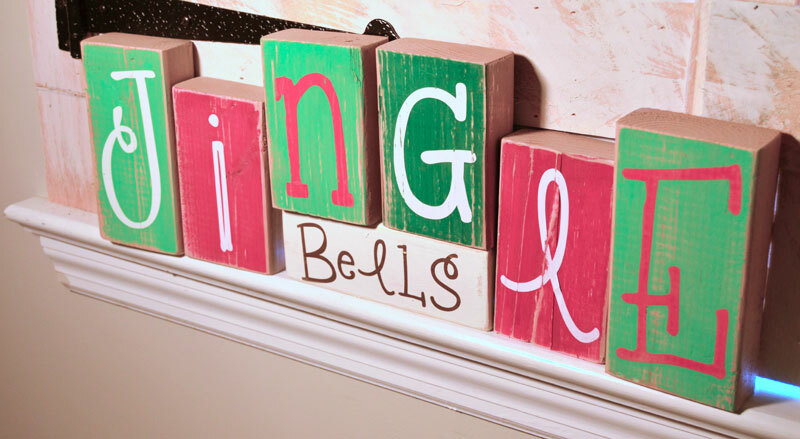 It’s such a great idea to utilize your decor for more than one holiday and is this is such a pretty way of doing it! I have pillow #2 with the car and the tree by the way. It is one of my favorite Christmas decor items! 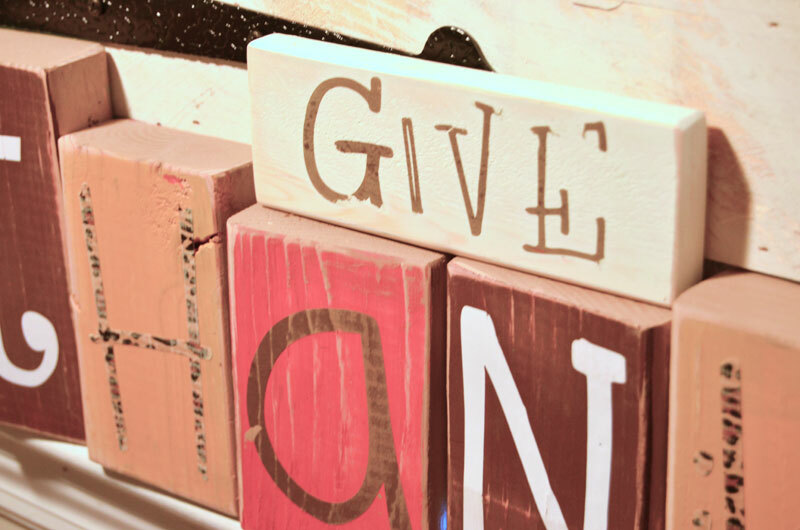 I’d love for you to share this project at the Make Life Pretty Monday link party beginning tonight at 8 pm!